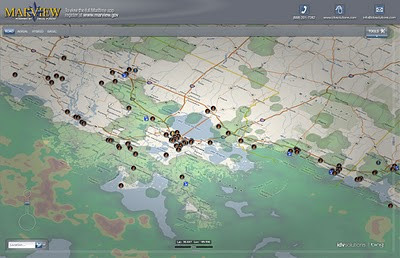 Pinch-zoom and/or drag to navigate the map through multitouch inputs. Tap any data overlay item to display more info. In this case it's world airports by size and congestion. Swipe out an area of interest to aggregate the airport data into a single report. 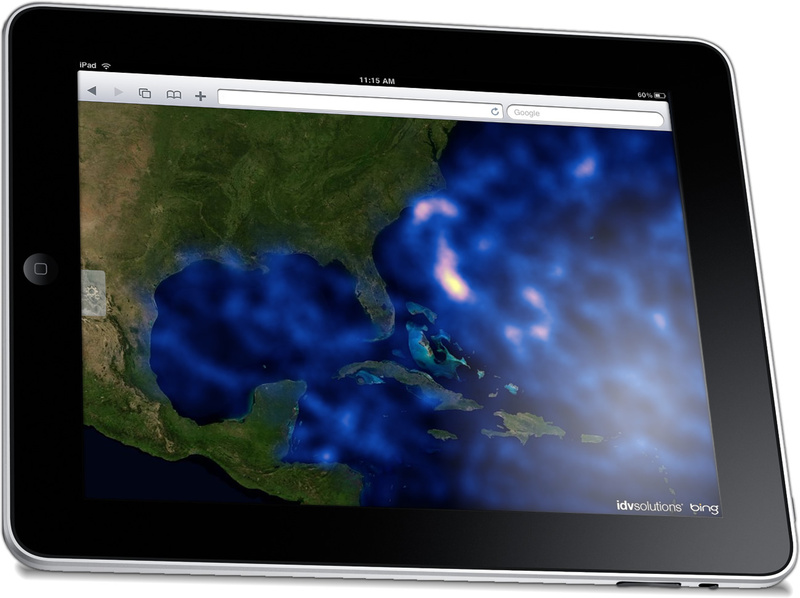 Spatial queries benefit greatly from natural touch interfaces. 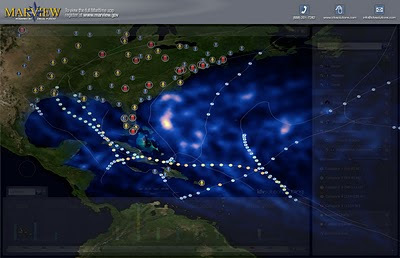 A heatmap of general hurricane force wind risk over the last fifty years. Check out those hot spots where the hurricanes linger a little longer as they turn the corner and blow back up the Atlantic. 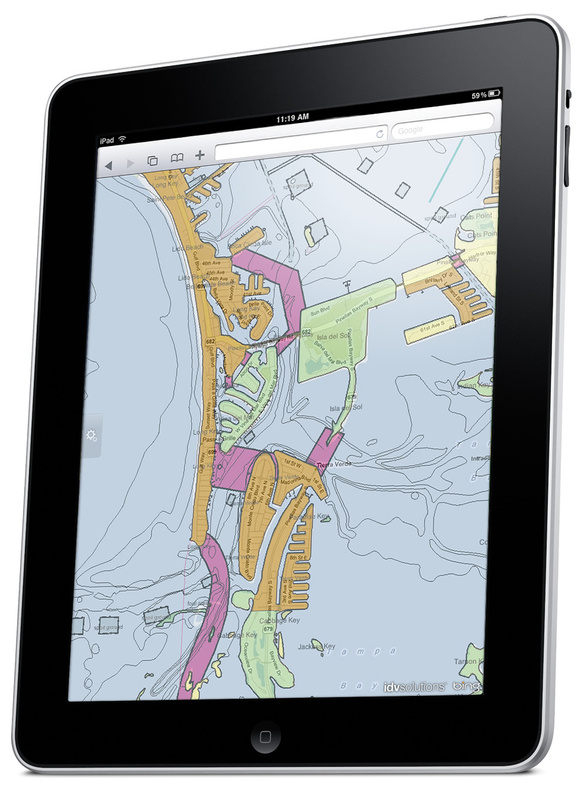 Activate the Nautical Charts feed to overlay maritime navigation info on the go. 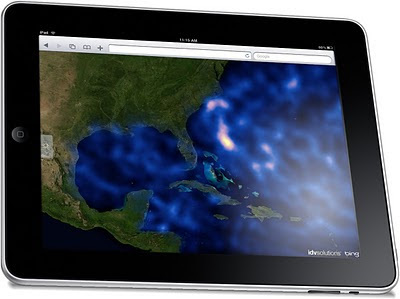 Turn on the Current Weather heatmap to see where storms may be threatening offshore drilling rigs. 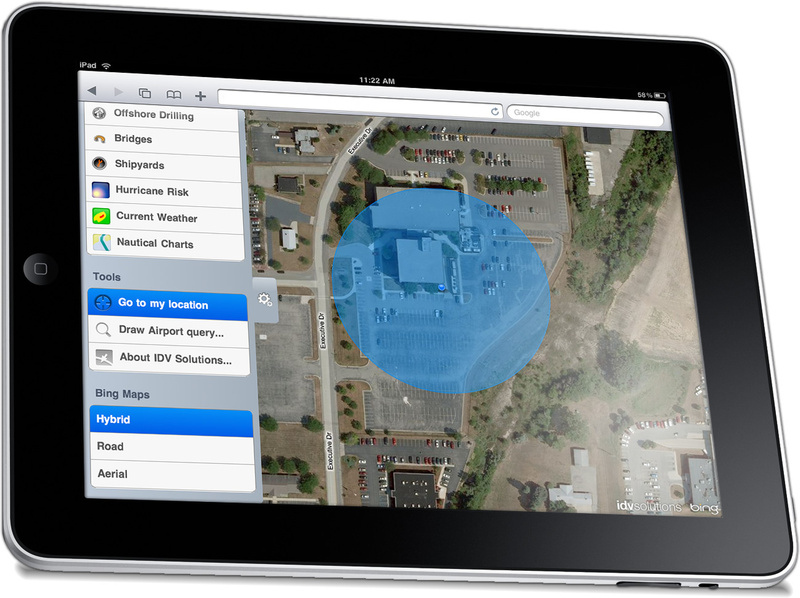 Utilize the new location standard of HTML 5 to activate the iPad or iPod's built-in GPS chip in order to find your current location. If the GPS is disabled or you are indoors, then your position is triangulated via your proximity to cell towers...you are somewhere in the blue circle of confidence. 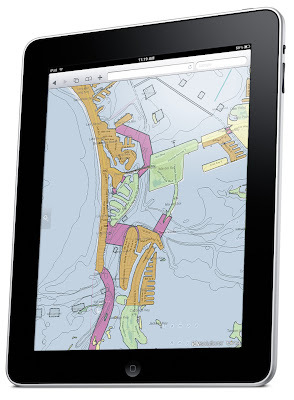 If you are not using an iPad or iPod device, then clicking on the link will take you to a Silverlight application created for the U.S. Department of Transportation. We've had some fun with the data feeds and the layout on this one as well, so feel free the give it a go. Thanks for taking the time, I hope you visit the app and please don't hesitate to send us your feedback! Incredible work! love the new look. I can't wait to try it out on an ipad! Great stuff John! We tested it on an Ipad in the office and it looks fantastic. 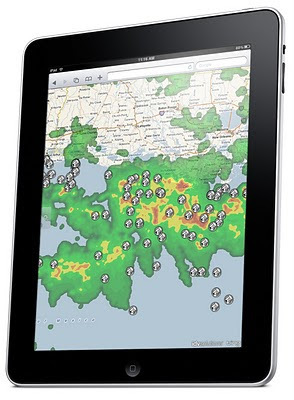 You must make a video so those without Ipad can see the difference between the Ipad and Silverlight versions. I have been forwarding your email to everyone I know with an Ipad and the feedback has been very positive.